Woodworker Bob DeWitt and his design partner Dominique Vallon make handcrafted kitchenware that is as functional as it is beautiful. From selecting the wood to finishing each piece, these Sugarloaf Family members manage every step in the production process. To make each piece, Bob and Dominique source sustainable wood harvested from their own property, or find it elsewhere in the region from trusted purveyors. 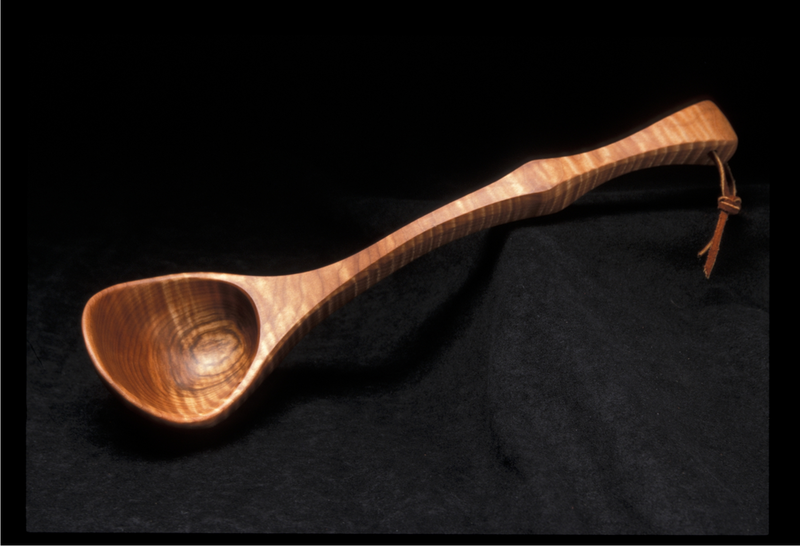 Spoons are made from regional hardwoods like cherry, maple, ash, black walnut and apple. Chopping blocks and cheese boards are made from solid one-piece, seasoned, domestic hardwoods like cherry and tiger maple, featuring beautiful heart wood grain with natural free-form lines. Everything is hand carved and treated with nontoxic mineral oil and beeswax. Everything Bob makes is backed by his pledge of integrity. It’s his personal guarantee covering the quality of the wood and carving methods, sanitation concerns and other details. We would expect nothing less! Each piece comes with the pledge of integrity, plus detailed instructions and beeswax for everyday care.